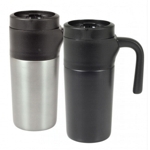 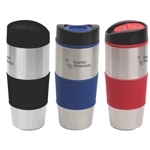 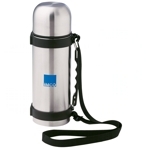 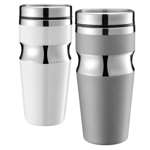 One of the reasons why promotional plastic and stainless steel travel mugs are so popular is that longer than many other promotional products. 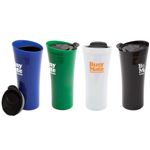 Your employees, customers, clients, and will appreciate that. 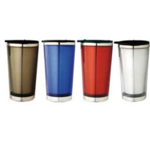 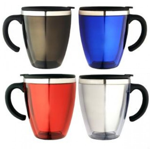 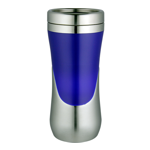 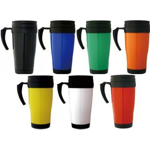 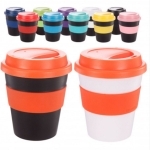 Custom printed stainless steel and plastic mugs offer large and multi colour and multi colour or wrap around imprint options. 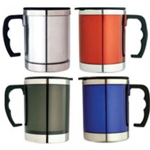 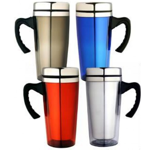 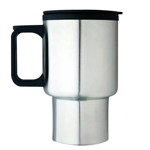 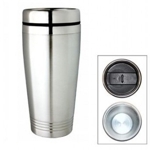 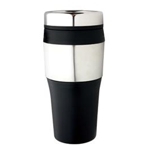 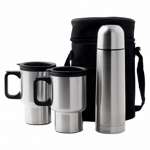 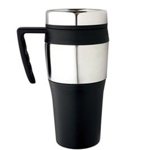 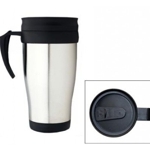 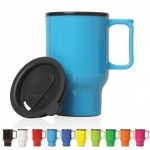 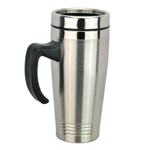 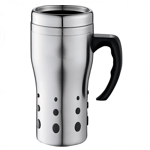 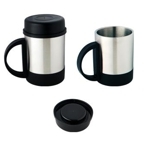 Be confident that your custom stainless steel mug or plastic mugs and your logo will last forever no matter how much wear and tear they’re subjected to. 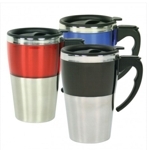 Regardless of is it hot coco, tea or coffee, being poured into these plastic and stainless steel promotional plastic mugs, you’re guaranteed happy and satisfied recipients. 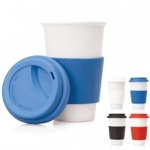 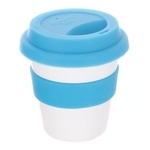 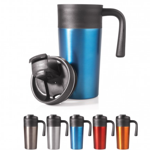 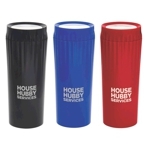 With many design and colour options available, we’re sure that you’ll find the perfect personalized plastic or stainless steel travel mugs for your next promotional campaign.